Last month Slaughterhouse gave fans a taste of what&apos;s to come on their upcoming album, which up until this week, didn&apos;t have a title. Thanks to Joe Budden&apos;s sly slip of the Twitter tongue, the title is finally out. After talking about his own upcoming solo project No Love Love last evening, which he describes as, "Very dark. [With] appeal [though]," Budden tweeted out, "I feel like the new Slaughterhouse album (Glass House) has a real Budden-esque undertone." & not to take credit at all, but I feel like the new Slaughterhouse album (Glass house) has a real Budden-esque undertone. The title of Slaugterhouse&apos;s impending third studio release shares the same name as their upcoming tour, which begins in March with five consecutive performances at SXSW. 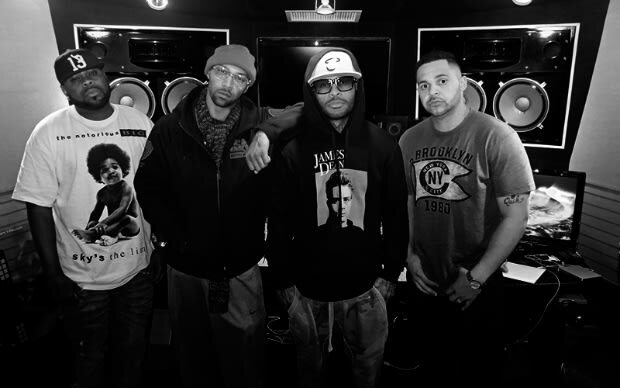 RELATED: Slaughterhouse Releases the Just Blaze and Cardiak-produced "Party"